It appears that metformin may also act via modulation of the gut bacteria (surprise, surprise). It increases mucus production in the gut, which the resident bacteria are able to feed upon and increase in strength and number. It’s been shown to boost Akkermensia count, the strain commonly linked to leanness and anti-diabetic effects. Some studies have even shown that Akkermensia can improve gut barrier function in obese subjects, so metformin may be especially helpful for this population. 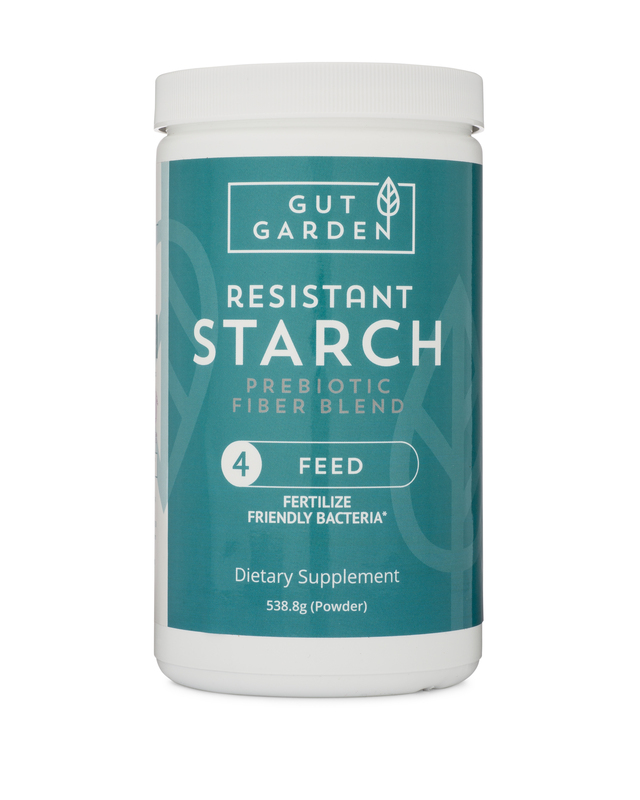 Additional effects include reduced carb absorption by the host (that’s you), leaving more to be consumed by gut bacteria (a la resistant starch). This is to be taken 2-3 times a day as a smoothie, drink, or in capsules. Several case studies demonstrate that when these directions were followed, patients not responding well to Metformin treatment were shown to immediately begin responding well. NOTHING WORKING FOR YOU? Let’s Hack the Patent! 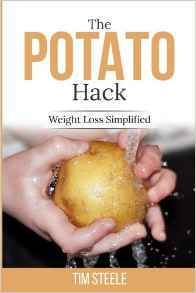 Over the last couple years, I’ve caught a lot of flack for recommending Raw Potato Starch (RPS). Quite a few people have written me and expressed that they tried the potato starch, and it did not work. Then they usually relate that NOTHING works for them. We’ve said all along that fibers are shown to work best when combined, ie. potato starch with psyllium, inulin with FOS, and some other combos. Most people that are just taking a single prebiotic, like raw potato starch are also eating a healthy diet filled with fruits and veggies. This patent makes me think that there is more to all of this than just the fibers. I’ve long been a fan of oats, and wrote a blog about them a while back. I really like oatmeal, and eat it often. Beta-glucans are one of the components that make oats a healthy food choice. To get more beta-glucan bang for your buck, choose raw oat bran. According to this paper and others, the beta-glucan content in raw oat bran is about 10%, therefore, 2TBS (approx 20 grams) should have about 2 grams of beta-glucans, along with some other fibers including cellulose and resistant starch. But for the purpose of this smoothie, it’s the beta-glucans we’re after. A typical bowl of cooked oatmeal has, by comparison, about .5g of beta-glucans. Beta-glucans are a special type of fiber found in oats and other grains. Beta-glucans have been well-studied for their cholesterol lower effects and modulation of beneficial bacteria. Oats have about the highest content, especially in the bran. Other sources are mushrooms and yeast, but these may be structurally different, so until we hear otherwise, we’ll stick with oats. Beta-glucan is also available as a supplement, but mostly fungal derived. If you must use a supplement, make sure it is made from oats. I think in this case, though, oat bran is much preferred. Several thousand molecules having a polyphenol structure (ie, several hydroxyl groups on aromatic rings) have been identified in higher plants, and several hundred are found in edible plants. These molecules are secondary metabolites of plants and are generally involved in defense against ultraviolet radiation or aggression by pathogens. There may be something special about blueberry polyphenols, or maybe it’s just because blueberries have one of the highest polyphenol counts of all plants, that they were chosen for the patented blend. A good chart can be found here. The patented blend uses something called blueberry “pomace” which is a concentrated mixture of blueberries that come from blueberry manufacturing processes. I have not found it for sale, but see it is widely used in animal foods. Lucky dogs! I have been picking my own wild blueberries for years, they grow everywhere here. If I run out, I buy the frozen blueberries at the supermarket and store them in the freezer. They are not that expensive. Another component that makes blueberries a super-food is the “anthocyanin” they contains. Anthocyanins are what give blueberries there blue color and protect the berries from getting a sunburn. Thought to be a protective antioxidant, blueberries have been long-studied for their anthocyanin content (Read more here) (and here). Do we need to answer that? The patent mentions “inulin” (though misspelled as “insulin”). But also says that just about any fiber (including RS) can be used. His dosage calls for 3 grams of inulin per serving, or about 1TBS. I think that’s a great starting point, and will not fault anyone for doubling this amount. I also believe that for equal strength, you can’t beat raw potato starch in this smoothie. I’m not normally a big fan of smoothies, I think people should eat their food, not drink it. But in this case, I can see a good blender will be needed to chop up the blueberries and oat bran. You don’t have to make a smoothie, you could just eat the blueberries and oat bran out of a bowl, and mix the inulin or RS with water. But at three times a day, a smoothie might be more convenient. If you are contemplating this, I highly recommend getting a Nutri-Bullet or similar smoothie-maker. They are a huge improvement over the old-style blenders you used to make margaritas in college. This smoothie blend should also be great for anyone looking for a super fiber blast. I had one last night. Tasted great. It sat in my stomach very well, and resulted in a very nice bowel movement this morning. No surprises. In fact, these will go into my regularly scheduled rotation of fiber concoctions. And finally, this smoothie will most certainly not work for you if you insist on eating those Standard American Diet foods, not exercising, and otherwise making a royal mess of your health.